For a gorgeous bath tap set, which is incredibly easy to use, choose the Square Bath Set. This quality piece of bathroom tapware boasts a modern design and is also highly practical. Moreover, it blends functionality, style and affordability all in the one neat package. The Square Bath Set is designed for easy installation in standard Australian baths. It is available in an elegant chrome finish and is equipped with high quality internal and external parts. The tap body construction is made entirely out of solid brass and is built to last. The tap body, internals and chrome finish are all backed by manufacturer offered guarantees. This tap set is equipped with two sturdy lever handles. 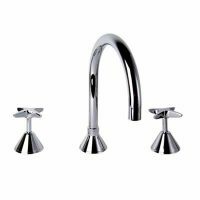 Both the handles and the tap spout each feature an ergonomic design that is easy to grip and operate. This product not only meets Australian standards, but exceeds them. Whether you’re renovating your bathroom or building a new home, the Square Bath Set won’t disappoint. 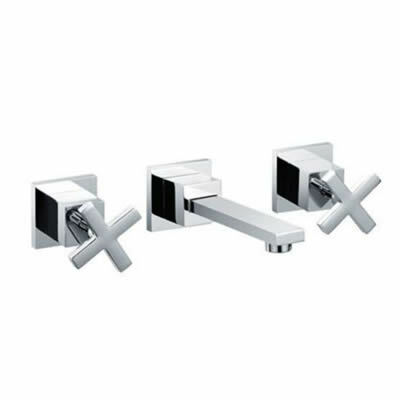 Buy this gorgeous bath tap set at a great price from Ross’s Discount Home Centre today. Shop online or visit our showroom in Guildford.